Yesterday was a beautiful spring day! Although the sun was hiding behind clouds, it was warmer and there was a nice spring rain. This is sure to increase the greenness and aid the blooming flowers--tulips and lilacs here we come. A morning spent helping at a bake sale to benefit a local organization filled us with spring cheer. Building off the energy from good conversations and shared kindness, we were inspired to pass on this joy to others. 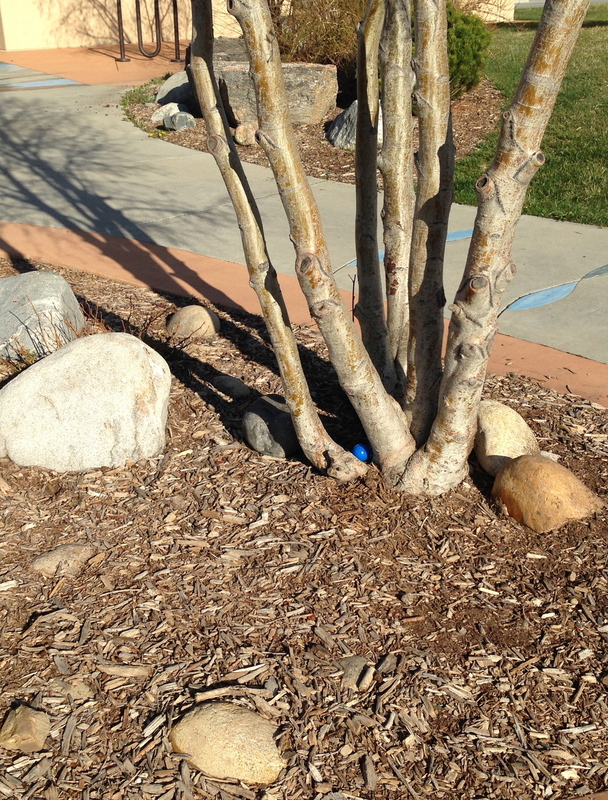 Using yarn bombing as a model, we formed a plan to surprise others with Easter fun by hiding eggs at local parks. A quick stop at the dollar store to pick up goodies for in the eggs such as stickers, erasers, bouncing balls, and yo-yos to name a few. 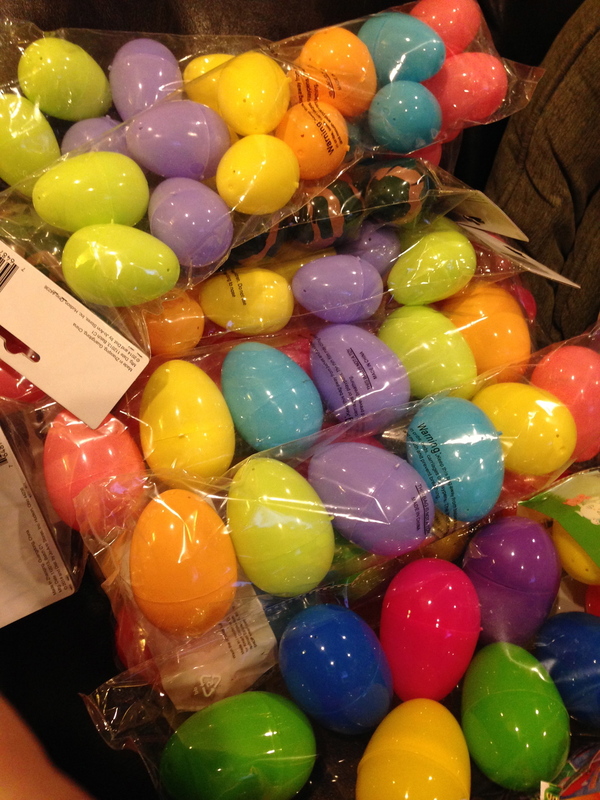 Another stop at a box store for plastic eggs to protect the prizes and we were soon ready to start packing. Filling the eggs made for an enjoyable evening, particularly when thinking about the smiles of the children who would find them. We were pleased and excited by the large collection of full eggs--eagerly we waited for the morning fun. 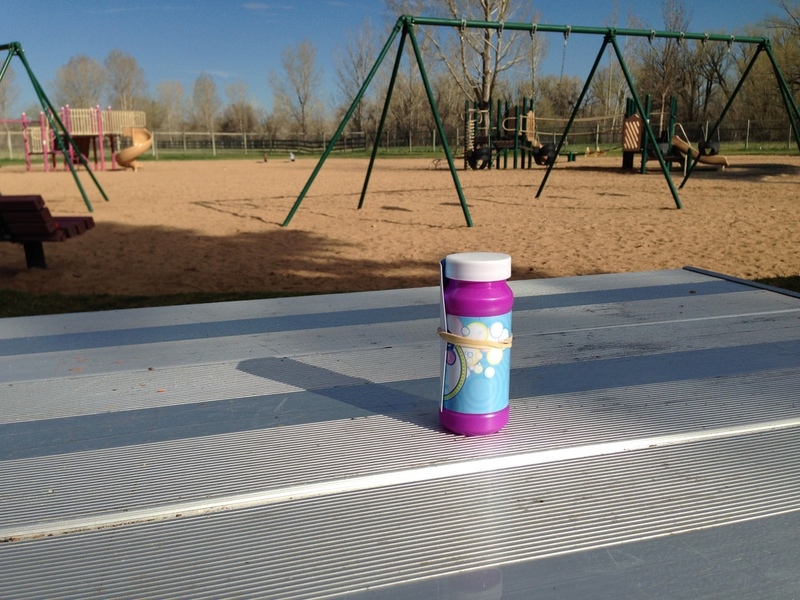 In the morning we rose early to hide the eggs at three local parks--being sure to make it to the playgrounds before the children. 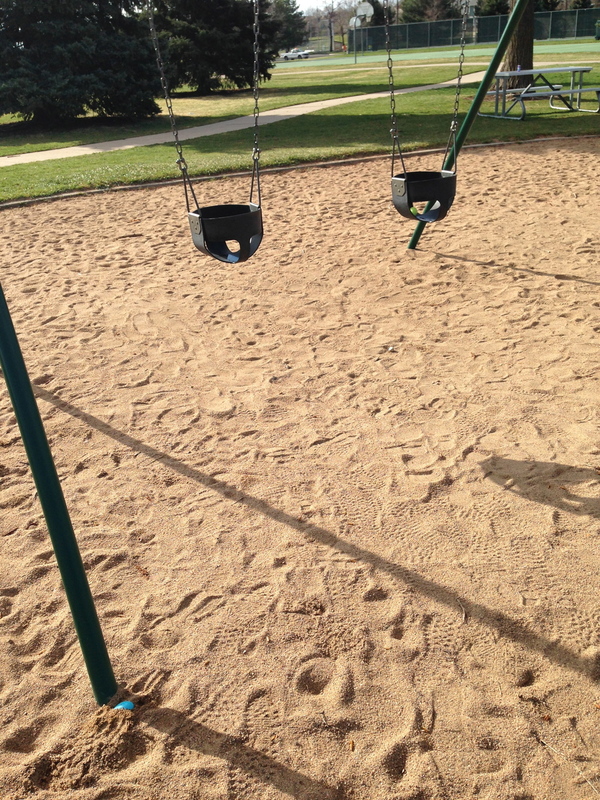 Hiding the eggs in obvious and not-so-obvious locations was a grand time--on swings, slides, sand, rocks and trees. Our morning was topped off with a celebratory breakfast. We took pleasure in reflecting on the fun of our new tradition of egg bombing and how we might out do ourselves next year. We loved being able to give simple pleasure to others and creating new Easter memories! Not living near our families, we valued sharing spring joy and connecting with strangers in ways that we would with those near and dear to us. Happy Easter!